Flinch Conference 2015 ended Sunday with a challenge to live life on the edge. 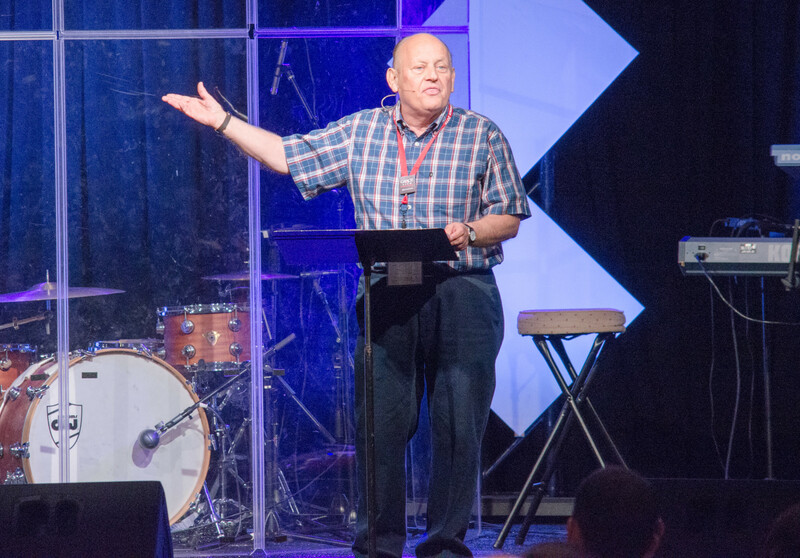 Ed Lewis, executive director of CE National, encouraged conference participants to take risks for Jesus in their daily lives as he spoke at the final celebration of the national conference of the Fellowship of Grace Brethren Churches (FGBC). At the end of the session, he called for a commitment to risk. As participants took the bread and cup, they picked up an elastic band with the words, #myflinchrisk, printed on it. Each were encouraged to do something risky for Christ and post it on the #myflinchrisk wall at graceconnect.us. 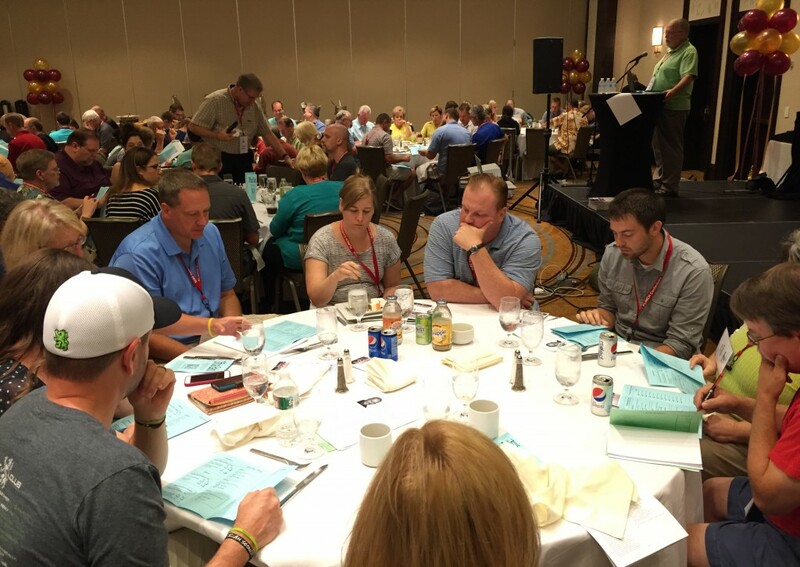 Two new churches were accepted into the Fellowship of Grace Brethren Churches, along with three new cooperating organizations: SeedNet, Grow New England, and Kalahari Youth Retreat. Resolutions from the Social Concerns Committee, which have been annually ratified for decades, were approved for placement into the Manual of Procedure. This includes resolutions addressing societal issues from the standpoint of biblical values and will be communicated to local churches. The nomination of Clancy Cruise to the position of executive director was approved, along with the nomination of Keith Minier to the position of assistant director, or conference director. Clancy, the pastor of Marysville Grace, a Grace Brethren congregation in Marysville, Ohio, will form and cast vision for the Fellowship; lead the executive team and Fellowship Council; attend Focus Retreats; champion church-planting, leadership training, and integrated ministry; and take the lead in FGBC-wide communication. As conference director, Keith will plan and implement the annual FGBC Vision Conference (national conference); facilitate meetings such as the Enduring Visional Leadership Community (which includes church planting, leadership development, and integrated ministry) and the national ministry leader’s meeting; attend meetings of young leaders and GoNet as a representative of the executive team and FGBC. For photos from the week, see the GraceConnect Facebook page.